Planning an international relocation can be a daunting task, and the experts at Booth Movers are here to help! Our New Jersey international moving company has the highest rating possible through the BBB, and our commitment to quality and customer care is our first priority for all international moves. As an industry-leading provider of New Jersey international moving services, Booth Movers is a proud member of both the American Moving & Storage Association and the New Jersey Warehousemen & Movers Association. Regardless of the complexity or size of your relocation, our New Jersey international movers have the experience and expertise to make it a seamless process! 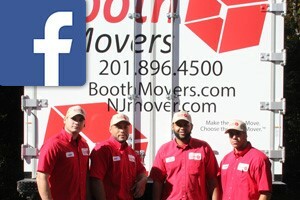 Founded in 1945, Booth Movers has a mission to make each of our customers feel like a friend throughout the moving experience. We start the process with a free, in-home estimate of the New Jersey international moving services that best suit your needs. From there, our customer support team will guide you through each step of the process. Through our affiliation with Atlas Van Lines, Booth Movers is connected with a global network of moving and storage professionals that will work together to ensure your international move exceeds your expectations! Whether you are moving internationally due to personal or career reasons, working with our New Jersey international movers will ensure that moving abroad is a simple, streamlined process. Residential Moving – For residential relocations of any size, the experts at Booth Movers will ensure your move stays on schedule and on budget. Household Moving – Whether you are moving down the street or across the ocean, Booth Movers is the premier choice among Bergen County household moving companies. Apartment Moving – Apartment relocations can be tricky, but with our experienced staff and state-of-the-art equipment, Booth Movers will handle it with ease. Full Service Moving – All of your fine art and high-value belongings will be carefully transported during your full-service moving experience. Household Storage – Our household storage solutions offer customizable short and long-term plans to suit any relocation or budget. If you need help completing your international move, then it’s time to give Booth Movers a call today! You can also request a free, no-obligation estimate by filling out our simple online form to connect with a New Jersey international moving specialist.